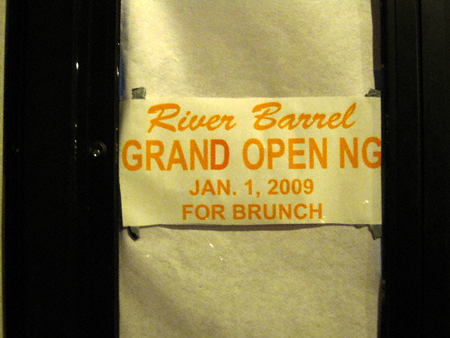 It would appear the River Ballel Barrel will be kicking things off with brunch on New Year’s Day. 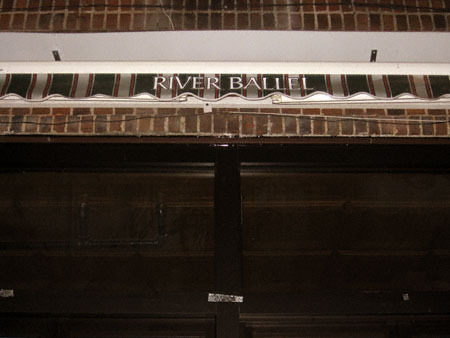 So… will they be replacing that awning sometime soon? Methinks they’ll just get some duct tape and/or paint and correct it. That’s the Greenpoint way after all! I’m glad you caught that!